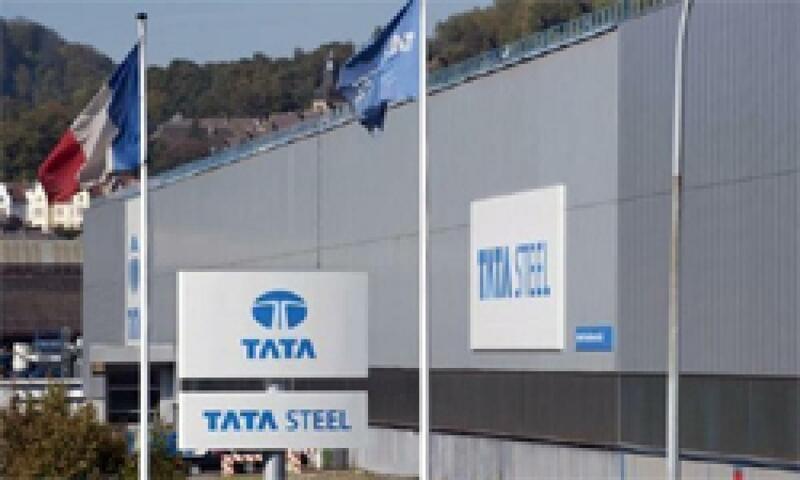 Indian steel giant Tata Steel is expected to announce 1,200 job cuts at its plants in the UK next week, according to British media reports. The firm is expected to significantly reduce the workforce at its Scunthorpe steel plant in the north of England, which employs 3,000 people, as well as those in Scotland. Tata has, however, declined to confirm the news of job cuts, issuing only a statement that its continues to \"review\" the situation. Indian steel giant Tata Steel is expected to announce 1,200 job cuts at its plants in the UK next week, according to British media reports. The firm is expected to significantly reduce the workforce at its Scunthorpe steel plant in the north of England, which employs 3,000 people, as well as those in Scotland. Tata has, however, declined to confirm the news of job cuts, issuing only a statement that its continues to "review" the situation. "We've made a number of structural changes to our UK business over the last months and years to make us more competitive. Like all companies we continue to review the performance of our business," a spokesperson said. 'Sky News' quoted sources as saying that up to 400 jobs are expected to go in Scotland and the rest in Scunthorpe in the plates section and one of the coke ovens. The jobs in Scotland are within the Long Products Division, specifically in the 'steel plates' section, 'Sky News' reported. Workers' unions have expressed their fears at what may be in store for them. "This is yet another blow to our steel communities and demonstrates the precarious state of the UK steel industry and emphasises the need for government action," said Roy Rickhuss, general secretary of the Community union. "We'll be seeking further discussions with Tata Steel to understand the full detail, examine alternatives that may safeguard jobs and uphold our principle of opposing compulsory redundancies," he said. The news of the job cuts came days after one of the major steel works in Britian, Sahaviriya Steel Industries UK (SSI) at Redcar in Tees Valley in the north-east of England, was wound up earlier this month. It led to a major steel industry summit headed by UK business secretary Sajid Javid this week to address the crisis in the industry. "This is a hugely difficult time for the steel industry across the world – one of the toughest times ever. It is a worldwide problem, and while it will not be solved overnight, we will work closely in partnership with the industry to help find some answers," Javid said. The crisis has been caused by a mix of cheap Chinese competition, high energy costs, a strong pound and slowing demand. In contrast to the negative headlines, Friday also marked the re-launch of a mothballed steel plant in Newport, South Wales. Indian-origin entrepreneur Sanjeev Gupta's Liberty Group began rolling steel at the mill he had acquired back in 2013. "We intend to buck the recent trend in the UK steel industry, which has culminated in the tragic loss of jobs in the industry," the UK-based businessmen said at the launch of the plant.